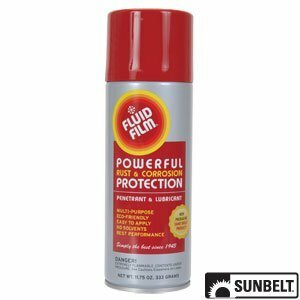 Fluid Film is a solvent free, lanolin based rust/corrosion preventive and lubricant that provides long term protection and lubrication for all metal surfaces. Note: Orders of 2 or less aerosol cans are shipped via USPS. Because aerosol cans are considered "hazardous", they travel separate from other packages. It may take up to 10-12 days to receive this package. Orders of 3+ cans ship by UPS and Fedex and are generally received in 3-4 days. If you have any questions about this product by Fluid Film, contact us by completing and submitting the form below. If you are looking for a specif part number, please include it with your message.